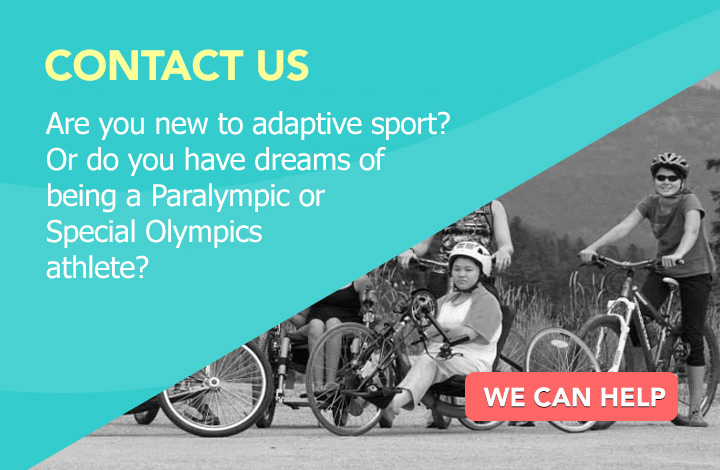 You can make an ongoing and enduring difference by helping to support the Whistler Adaptive Sports Program. Please join us for a fun-filled après party from 4-8pm at the Cinnamon Bear Bar & Grille in the Hilton Whistler Resort, to celebrate our 20 years of adapting the playground in the Sea to Sky Corridor. Interactive Displays & Experiences: Get hands-on with adaptive sports equipment, meet coaches and athletes, and see a photo history of how we've adapted the playground for 20 years. Email your favourite photos along with a story caption for the photo wall. Photo Booth Time Machine: Wear what you did on the slopes 20 years ago, or choose an outfit from our retro tickle trunk for your souvenir photo. We'll be awarding prizes for the best individual outfit and the best group outfit. Amazing music: Dance the evening away with Vancouver’s favorite sax-playing DJ Smoothie. Door prizes: Great door prizes from Whistler businesses to be drawn at 6 pm. Retro attire encouraged. This event will sell out, so get your tickets early! Gala 2019 is May 9th! #AWE-inspiring event at the Royal Vancouver Yacht club. Join us for an inspirational night on Thursday May 9, surrounded by celebrated Canadian Paralympic athletes, Whistler Adaptive Alumni and current volunteers and participants at the prestigious Royal Vancouver Yacht Club, located at 3811 Point Grey Road in Vancouver. Cocktails at 6pm with a three course dinner at 7pm & festivities done at 10pm. Silent auction with exclusive items from the Lower Mainland and Whistler. Secure a table of 10 for $1150* & have the honor of hosting an athlete or Adaptive alumni member at your Gala table. You can also buy tickets by email or call 604-905-4493. *For table of 8, tax receipts for single tickets of $50 will be issued and/or $300 per table. For table of 10, tax receipts for max. $550 will be issued. Please note: no host cocktails are provided. The Annual General Meeting for the Whistler Adaptive Sports Program Society is taking place with registration starting at 1pm on October 28, 2018 in Whistler, BC at the Hilton Whistler Resort and Spa. The AGM will start at 1:30pm. We will hear from the President of the Board of Directors, the Executive Director and other Board Members regarding programming, fundraising and other initiatives that took place in 2018. We will also review the 2018 financials. Can't make it to the meeting? The AGM information package, financial statements and constitution & bylaws will be uploaded prior to the meeting. Whistler Adaptive is seeking passionate and dedicated individuals to join our Board of Directors. If you or someone you know would be a good fit or if you want more information on the role of a director and time commitment, please contact Chelsey Walker, Executive Director, at cwalker@whistleradaptive.com. This meeting is open to the public, but only current Whistler Adaptive members in good standing can vote. Current memberships are valid from August 1, 2018 to July 31, 2019. Members provide guidance in electing new directors, approving bylaws, help with fundraising and improving programming. If you’d like to become a member, please purchase an athlete, volunteer or Friend of Whistler Adaptive membership online.